It is very important that all the rainwater is diverted to a central storage tank. Having many small tanks all over the premises defeats the objective of using rainwater effectively from a central point. Above ground rainwater storage tanks are 5 times cheaper than underground rainwater tanks. It is easier and safer to install. For underground tank installations you need to have an understanding of the subsoil conditions and water table as this might limit the depth of installation. Underground tanks store rainwater better because it is cooler and darker underground with less temperature fluctuations, resulting in improved water quality. Above ground tanks are exposed to the elements resulting in a shorter lifespan than below ground tanks. 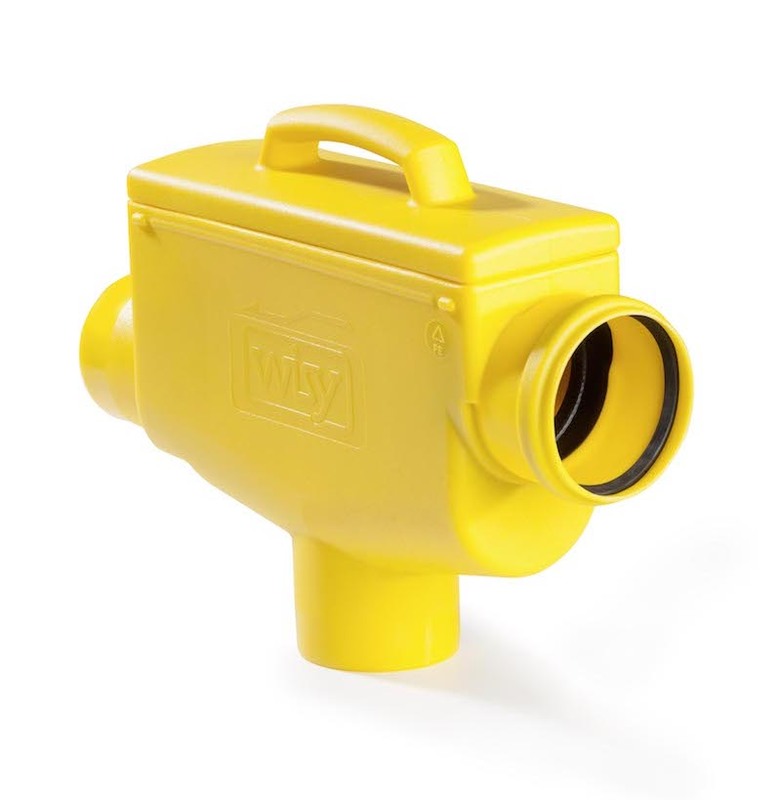 Polyethylene (plastic) tanks are the most common and affordable tanks available in many sizes and colours. You also get reinforced polyethelene tanks tanks that can be installed underground. Polyethelene tanks don't leak easily and they require little maintenance. The disadvantage of above ground polyethylene tanks is that the material is UV degradable and after extended periods of exposure to the sun, the tank will need replacement. It can be overcome by covering the tanks or painting them. If you are going to use the tank for drinking water make sure it is made of foodgrade plastic. They are not freely available in South Africa and are more expensive than plastic tanks. The installation platform construction is critical as a fibreglass tank cannot tolerate any soil movement. They are commercially available but must be constructed above ground, on site. As a result they can be manufactured to store more rainwater than the biggest plastic tanks on the market. Generally they have low flat profiles. The disadvantage is that these tanks are prone to corrosion. If they are being used for potable water the tank must be lined with a membrane. Concrete tanks can be installed above or below ground. They are the most expensive tanks but they are durable, immovable and probably provide the best storage conditions for rainwater. Concrete neutralises the slight acidity that you find in rainwater and thus improves water quality while it is in storage. The disadvantage is that concrete is prone to cracking and leaking. Soil considerations and preparation for installation is more important to prevent cracking. For this you need the advice of a civil and geotechnical engineer. After installation the concrete must be waterproofed to ensure it does not leak. There is no bigger frustration than a leaking underground water tank! Pre-manufactured concrete tanks are also available on the market. They are modular and can be installed underground in connected modules to give the required water volume. 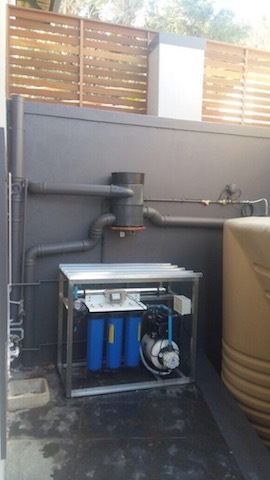 The benefits of these tanks are that they can be installed very quickly and if time in your project is of essence, these water tanks should be considered. 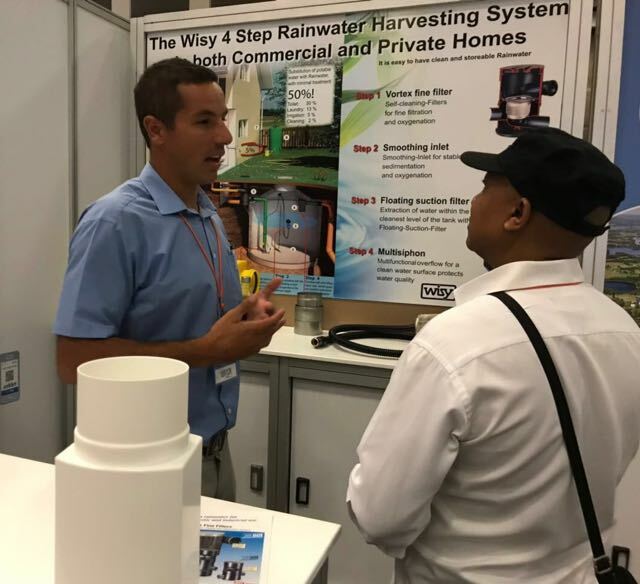 Rainwater tanks are generally gravity fed with the rainwater from the collection surface, thus they must be located below the harvesting surface area. If however this is not possible a small intermediate storage tank with a pump can be used to collect the water and then pump it at high volume to the rainwater storage tanks. Minimise exposure of above ground tanks to direct sunlight by covering them or installing them under a roof or trees. It prevents excessive water temperature fluctuations and extends the life of the tank. For below ground pipes ensure effective installation and protection against heavy vehicles. Above ground pipes must be well supported. When filled with water they will buckle and break if not supported. Using gravity to supply water from a tank is not always feasible. Example - If the tank is situated 2m above where the water is require and the tank is filled with 2 m of water, the discharge pressure is only 40KPa. Normal household water pressure ranges between 250KPa and 400KPa. It can thus be a very slow process to drain the water from the tank if you just have a tap connected to it.